Leaders in Kentucky are making a bipartisan effort to solve the economic woes in the state’s Appalachian region. On Monday a conference known as SOAR, which stands for Shaping Our Appalachian Region, takes place in Pikeville. WMMT’s Sylvia Ryerson reports in this preview that some folks have high hopes the conference will lead to solutions. Students at a Charleston, W.Va., High School are building a satellite. It will be launched into space by NASA on a Soyuz rocket sometime next year. The satellite will gather all kinds of data and beam it back to South Charleston High School for five years. As West Virginia Public Radio’s Beth Vorhees reports, this is what it means to talk about STEM, science, technology, engineering and math, and the students are pretty excited about it. About 40 years ago a New York photographer named Builder Levy ventured to Appalachia to document life in the coalfields. As Levy traveled the region and got to know its people, he came to love and admire the place. 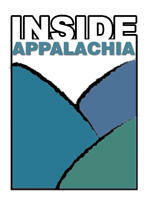 Through a commission from the Appalachian College Association Levy was able to return between 2002 and 2009 to document the changes that have taken place since he first visited in the late 1960’s. The result is a book of photographs and narrative, Appalachia USA, that tells the story of how the coalfields have changed. He talks with West Virginia Public Radio's Cecelia Mason about his experiences photographing Appalachia. On Thursday Tucker County, W.Va., clock repairman Doyle Kisner will turn 90. For the past two and half years, Jessica Collar has been his apprentice and caretaker. Traveling 219 reporter Roxy Todd began visiting the pair in the clock workshop shortly after Jessica began working with Doyle. 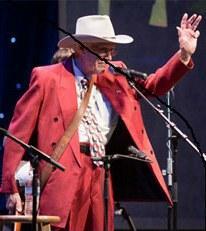 The West Virginia Music Hall of Fame lost another inductee this past week. Homer Bailes, the last surviving member of the Bailes Brothers, a popular country music group of the 1940's and 50's, died. The four Bailes brothers were from Kanawha County and became the first West Virginia act to perform regularly on the Grand Ole Opry. West Virginia Public Radio's Suzanne Higgins spoke to Homer Bailes in 2009, following the group's induction into the Hall of Fame.